It’s November! What?! Someone had to have hit the fast forward button on 2015 because I could have sworn that it was just January! Although I’m still scratching my head wondering where the time went, I am excited about the upcoming holiday season. The One Room Challenge is in full swing and we are making progress this week. Hooray! So be sure to check back on Thursday for that update. 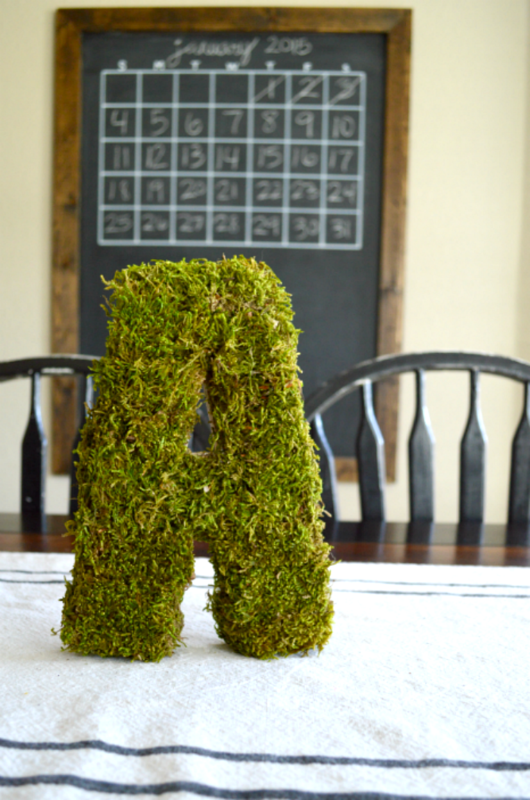 Today I’m sharing a fun and easy moss covered letter that I shared over at Made to Be a Momma in the beginning of the year. It’s a great way to bring a pop of nature to the interior but without all of the hassle of keeping a plant alive. This post contains affiliate links for your convenience. Click here to read my full disclosure policy. First off, you are definitely going to want to cover your work area with some newspaper because the moss gets everywhere. 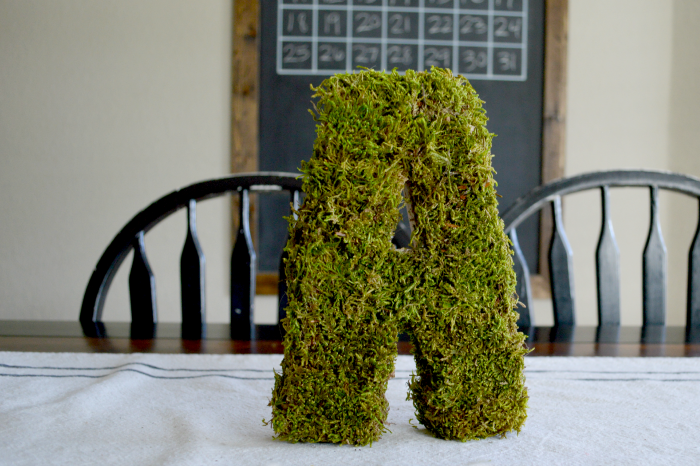 I like to apply the moss to the perimeter of my letter first and then fill in the center. I sprayed some adhesive onto the letter and let it sit for about a minute or until the glue became tacky. 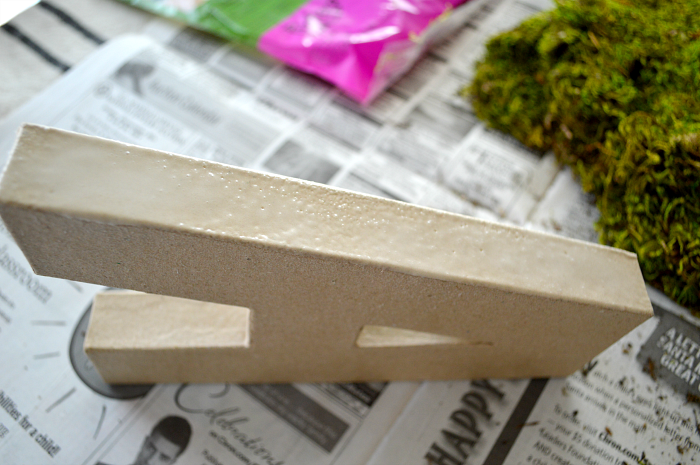 Then I began to place pieces of the sheet moss onto where I applied the glue. 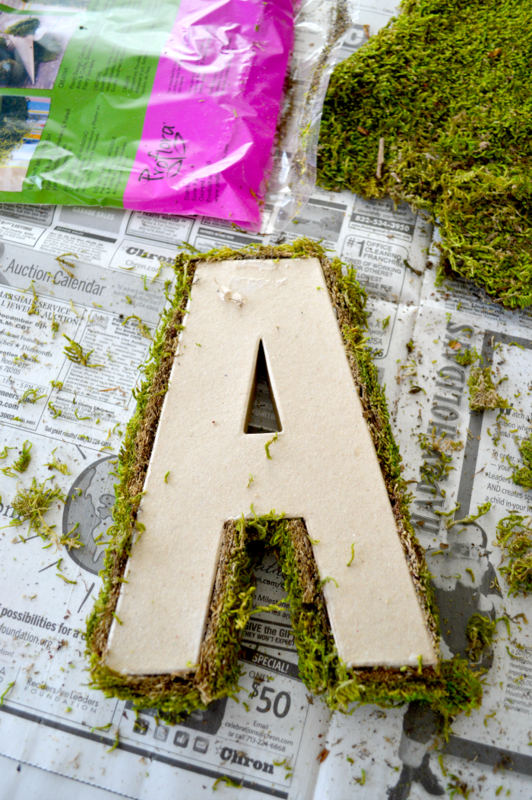 You can cut the moss with scissors to get straighter edges but I found that just tearing off pieces was easier and sufficient. After the perimeter was covered, I began to fill in the rest of the letter, using the same steps as above. 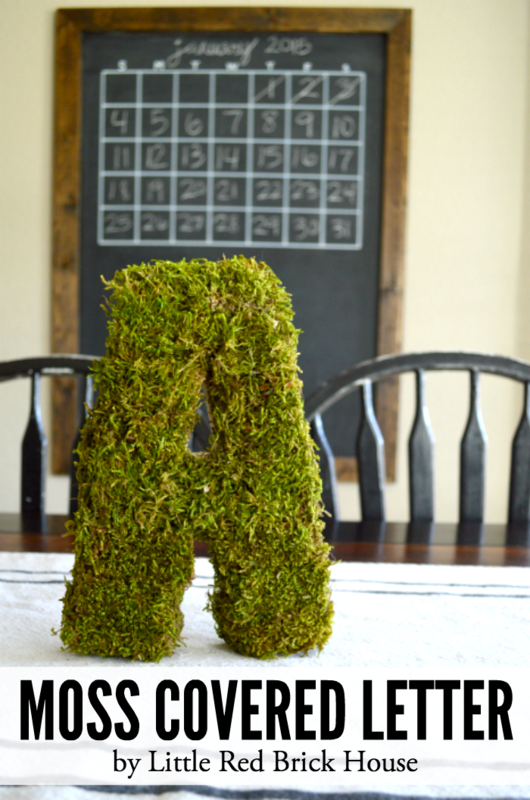 Just spray, wait a minute and then apply your moss. Easy peasy. When you’re done your hands will be covered in sticky moss. Just massage a little bit of vegetable oil on your hands and it will break up all of that glue so you’ll be able to wash your hands with soap as normal. I decided to display mine under a glass cloche. 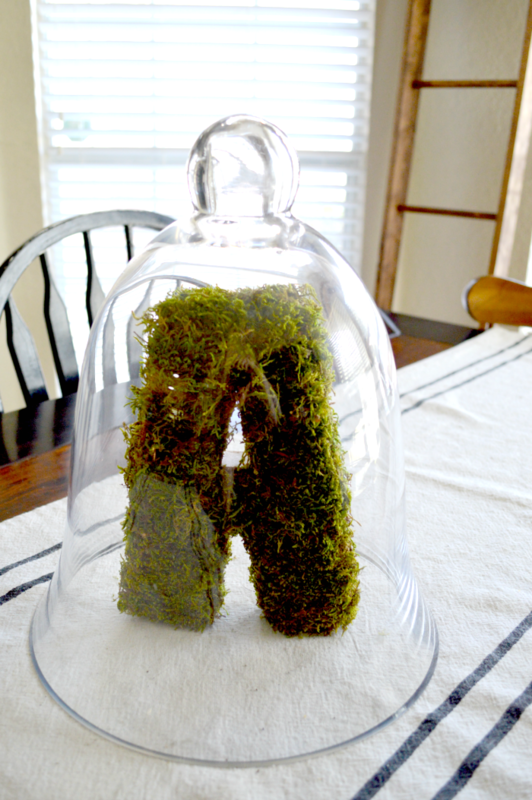 I like how the rough, earthy texture of the moss is countered by the softness and sheen of the glass. Cute, right? I love how it adds a bit of color to the room without the maintenance of a real plant.